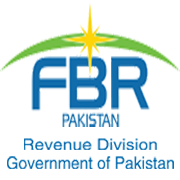 KARACHI: MCC Preventive Karachi has submitted interim chalan before Customs Court in the case of betel nut import in the garb of waste paper scrap, and nominated several persons including Customs officials. Sources said the authorities had also gone through the call records of the prime accused identified as Samiullah and his linked was established with Collector Port Qasim, an additional collector and a fresh assistant collector who was earlier posted in examination and then in CIU. The evidence available I&P suggests that the accused Samiullah also had meetings with the Collector Port Qasim. Moreover, statement of CIU officials proves that Additional Collector Yaseen Murtaza stopped three consignments of solar fans, in which Rs1.0 million revenue was being evaded. These consignments were imported by the accused Samiullah However, the case was not adjudicated on the directives of Collector Port Qasim. Ahsanullah Bhatti, Samiullah, Izharullah Bhatti and Salahuddin are absconding accused while Waheed Ahmed and Mohammad Irfan are in custody while Hamid Hussain is on bail. According to details, Anti-smuggling Organization MCC Preventive Karachi received a tip off to the effect that a huge quantity of betel nuts had been smuggled into the country in the garb of import of waste paper scrap in pressed bundles shipped from Jeddah and after clearance from the MCC Port Qasim, Karachi, they would be shifted into different parts of the city. Information source further confirmed that five containers out of a lot of 13 containers cleared from MCC Port Qasim were dumped at the M/s. Bhatti (Open Yard) near Maripur Truck Adda, Karachi and wherefrom the smuggled goods would be shifted to other places shortly. In pursuance of the said information, a plan was chalked out to foil the attempt. Eventually a team of ASO staff reached the premises of M/s Bhatti (Open Yard) and observed that process of un-loading of betel nuts from the containers was in progress. Immediately after completion of all the legal formalities, the Customs team entered the open yard and found that various containers were lying there and two Suzuki Pick-ups were also parked inside the premises partially loaded with some gunny bags containing betel nuts apparently removed from the said containers. However, no person including laborers were present there, perhaps all escaped from the scene sensing the fear of their apprehension. The cursory search of the said premises was immediately carried out found that 05 containers out of a lot of 13 containers mentioned in the aforesaid GD as cleared from MCC Port Qasim were there with open doors. It is a matter of fact that the GD was assigned for examination under red channel. It is to be mentioned that all the containers marked under red channel are 100 percent de-stuffed and 100 percent examined. It is not tenable that containers were examined and betel nut were not found. The version of MCC Port Qasim in this regard is dubious and create serious doubts against the role of Customs officials, which need to be investigated in depth. 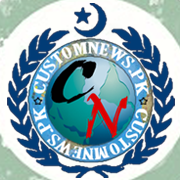 Scrutiny found that eight more consignments in addition to the consignment under question were imported and payments in this regard were made to the said shipping agent by accused Ahsanullah Bhatti on behalf of importers namely M/s Hytec International Trading Company, M/s M.Y. International and M/s. Al Waheed Impex. 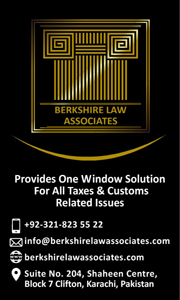 It is astonishing to note that accused Ahsanullah Bhatti had regularly involved in clearance of consignments by exploiting and in connivance with the importers referred to above. The details of bank accounts showed that the payments to shipping line and MCC (PMBC) were made from two accounts titled as Allah Tawaqal Engineering Works and Global Enterprises respectively maintained by accused Ahsanullah Bhatti. At this stage, a vital role of accused Ahsanullah Bhatti surfaced in the crime. It is also informed that M/s. 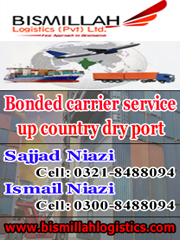 Sea Horse Shipping Pakistan (NVOCC) had provided the details of 09 consignments which were imported by three different importers namely M/s Al-Waheed Impex (four consignments), M/s Hytech International Trading Company (two consignments) and M/s M.Y International (three consignments). Furthermore, in all nine (9) consignments, the payments of duty and taxes were also made from the accounts of accused Ahsanullah Bhatti maintained at Bank Alfalah Limited. An official said investigations were advancing and in the final challan all the accused including the Customs officers/officials would also be nominated. 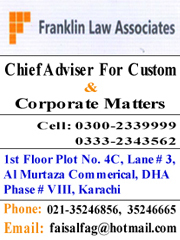 Tagged betel nut, Collector Port Qasim, Customs court, duty and taxes, garb of waste paper scrap, importers, Interim chalan, M/s M.Y International, M/s. Sea Horse, NVOCC, shipping agent, smuggling.